Heavy drum beats, bugle calls and rhythmic footsteps filled the air as marching bands from around 50 schools put forth their best at ‘Band the Band’ competition. Organized by the Nalanda College Old Boys Association (NCOBA) the event will select the best brass band of a school in Sri Lanka. The competition was held in district and provincial levels before the 50 schools which showcased their talents on the reality program were selected. 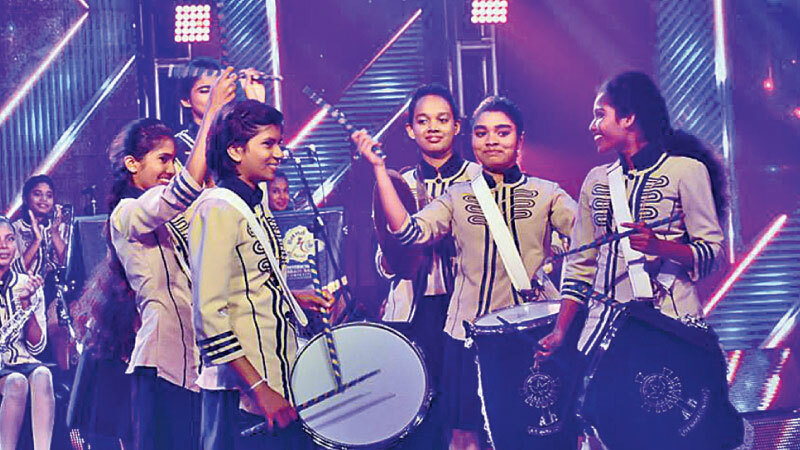 A concept by Chinthaka Ranaweera, ‘Band the Band’ is known as the first brass band related reality programme in the world. It was telecast for around four months on ITN on Sundays at 7 pm. Three stages of the programme concluded recently with 10 school brass bands being selected for the fourth round. 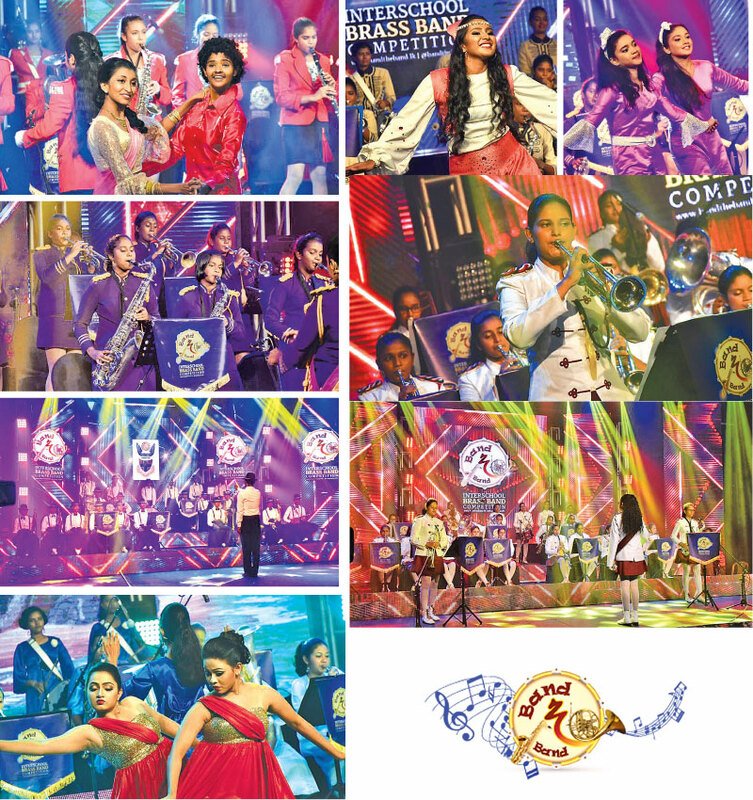 Prince of Wales College, Moratuwa, Holy Cross College, Gampaha, Maliyadeva Balika Vidyalaya, Kurunegala, Devi Balika Vidyalaya, Colombo 8, St. Anthony’s College, Kandy, De Mazenod College, Kandana, Bandaranayake College, Gampaha, Sri Sumangala Balika Maha Vidyalaya, Panadura, St Peter’s College, Colombo 4, and Gothami Girls’ College, Kandy will take on each other as they will fill the air with lively tunes in the fourth round of ‘Band the Band’. School bands are normally given the opportunity to display their skills at ceremonial events within the school or at public performances outside the school. They also take part in local and international music festivals. The disciplined routines demanded by the members of a brass band allow individuals to learn the values of discipline, teamwork, responsibility and commitment. Students also learn to celebrate their achievements while maintaining humility or even to accept defeat in good grace. These are some of the values and experiences those who took part in ‘Band the Band’ gained. Many musical experts have been part of the jury at the event. Naveen Fernando, Central Province Education Director and Director of Aesthetic Studies Nilanka Abeywardena and renowned choreographer Mudrika Swarnatileke were the judges. Five finalists will be selected from the 10 and they will make their way to Sugathadasa Indoor Stadium for the finals. The show is compered by Narada bakmeewewa and Thanuja Jayawardena.